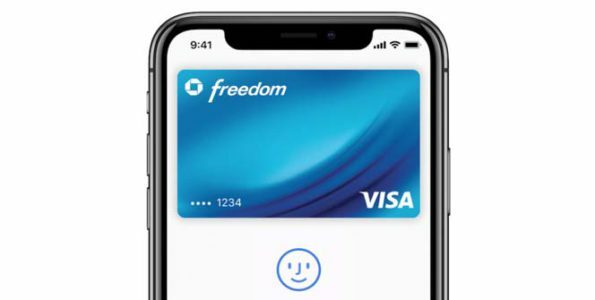 Apple currently released two ads showing just how easy it is to use Apple Pay; with just a quick glance, the payment is easily processed using the iPhone X.
Apple’s one minute and eight second video ad titled “Fly Market” shows just how easy it is to use Apple Pay on the iPhone X. The ad shows a young man shopping at the flea market and with just a quick look at his iPhone X he purchases a cool hat, sunny shades, a tailored suit, a shirt to match his dyed suit, and a pair of hipster shoes to top off his attire. He continues shopping by buying a cushion chair, an array of jewelry, and with a quick glance he’s all done and ready to leave, just by using Apple Pay. The second fifteen second video ad titled “Pay With A Message” continues as part 2 of the first commercial titled “Fly Market.” As the young man and his friends are about to exit the flea market, he clicks on the iMessage app to instantly send cash to a friend using the Apple Pay Cash feature, and this completes all his transactions as he exits the flea market. You can check out both the ads by clicking on them above.